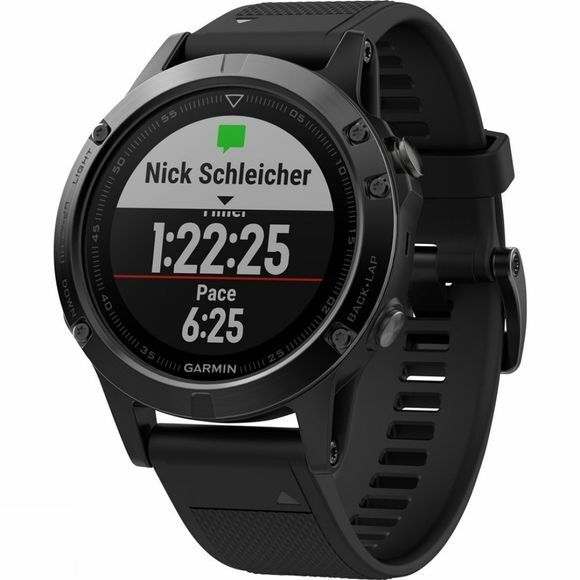 The Fēnix 5 Sapphire Multisport GPS Watch from Garmin is built for athletes and adventurers that want to go from work outs to the work place and back again. You get training features such as Elevate wrist based heart rate monitor, built-in activity profiles, advanced performance metrics and training status readings that allow you to train more efficiently towards achieving your goals. It offers you all you need to know about your training and how to improve your stats as well as indicating your level of fitness and advising when to rest to avoid unnecessary strain on your body. You can set your own challenges, race yourself or put your friends to the test while keeping tabs on their progress with Group Track paired devices. A great multisport gadget that gives you true insights into your own progress no matter how unique your fitness regime is. For your convenience on the move the screen boasts a high resolution, full-colour Garmin Chroma display which assures great readability at any time, even if the sun is shining. Wi-Fi connectivity allows for automatic activity uploads directly to Garmin Connect whenever you're connected to a wireless network. The scratch resistant sapphire lens is tough so you can wear it 24/7 with excellent confidence while smart notifications help you stay in touch on the go. 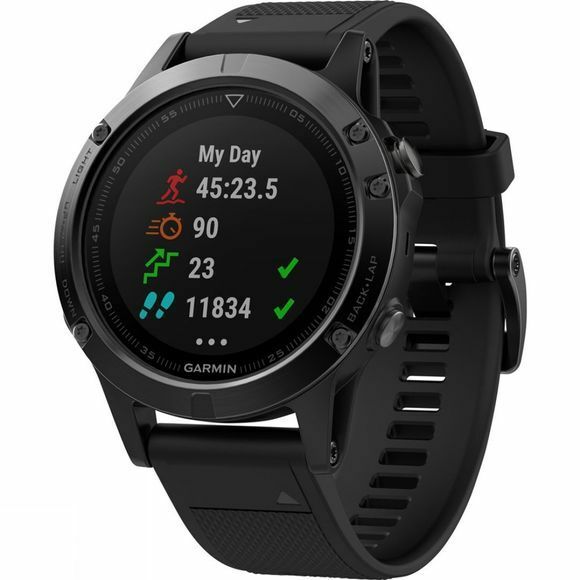 You can fully customise the watch utilising apps from Garmin Connect while also having the freedom to change the Quickfit wrist strap easily, without the fuss of tools (Quickfit 22 wrist straps sold separately).